The two Ethiopian singers who performed early Saturday morning at Echostage, Mahmoud Ahmed and Teddy Afro, represent different styles and different generations. The 72-year-old Mahmoud sailed Semitic-style melodies over instrumental accompaniment that drew on 1950s jazz, while the 36-year-old Afro emphasized reggae, with some forays into funk-rock. Despite the stylistic differences, each drew a similarly ecstatic response from the crowd, which was heavily Ethiopian and Eritrean and large enough to pack the main floor of the 4,000-capacity club, Washington’s largest concert venue. 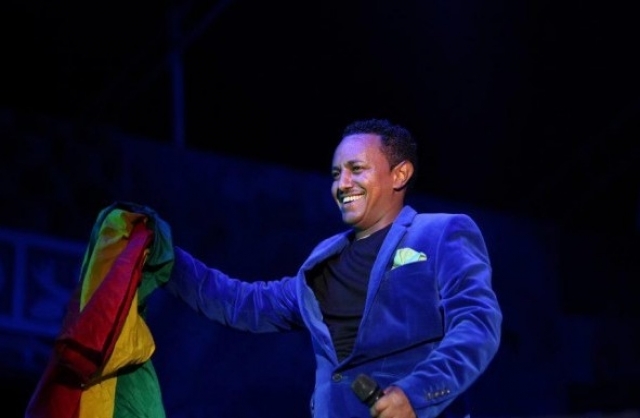 The concert was the biggest in a week of shows scheduled to complement this year’s Ethiopian Sports Tournament. The crowd was initially greeted by DJs who played a mix of Ethiopian pop and Jamaican dance-hall; video screens displayed pan-African symbols and the former Ethiopian flag, which has been redesigned several times since Emperor Haile Selassie was deposed in 1974 — an event that also interrupted Mahmoud’s career. The live music didn’t begin until 12:35 a.m., when a sextet began to play dub-style reggae. The band was soon joined by Afro (born Tewodros Kassahun), who began with the first of several anthemic numbers about his native land and home continent. The audience sang along, often providing the rejoinder for the call-and-response choruses, as hundreds of arms pumped the air.